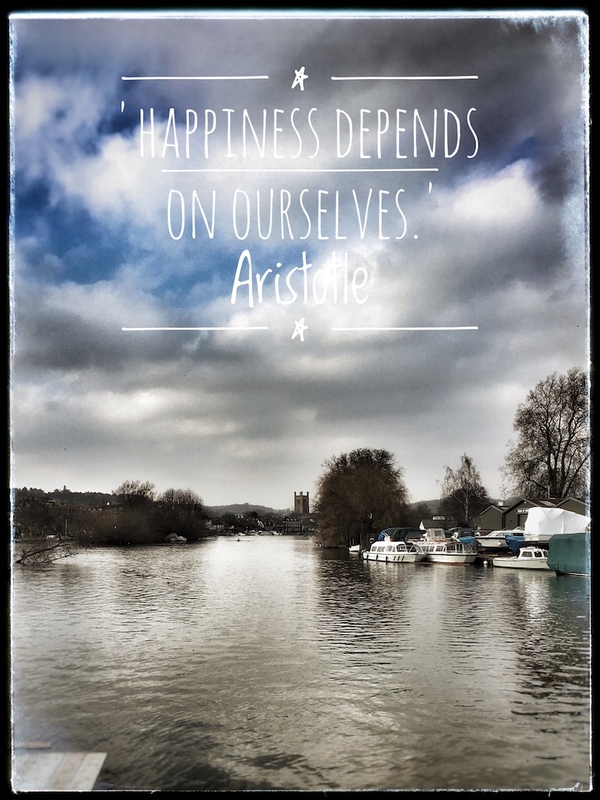 You may recall my blog earlier this year about the balance between focusing on internal vs external happiness. I’d been concentrating for so long on the internal, I wondered whether I’d forgotten that external factors do play a role. So, in true Sally style, I have thrown myself wholeheartedly into changing the external. I have been meeting puppies with a plan to get a dog; I have been looking at houses with a plan to move; and I have been getting myself out more with a plan to meet a man. So how is it going? Well, it’s been interesting. Very. I have found my dream home – it’s on an island! I have met the Mum and Dad of my puppy to be (predicted arrival in the autumn – a black Lab FYI). But, and there’s a big but, it all feels a bit strange. On one hand I have been terribly excited by the future potential. The ‘HOPE’ as I have talked about before. On the other hand, nothing has drastically changed in my life – if anything it’s all a bit more challenging as I juggle finally having some type of personal life with a professional one. I have noticed that my daily happiness has become a bit more of a rollercoaster – if the house situation is positive, I’m on a high. If I find a hurdle (my house isn’t worth what I thought it was) I plummet. And then there are the fears that start kicking in. What if it all goes wrong again? What if none of this actually happens and I am back to where I started? How will I cope? It’s all been a bit scary to be honest. “Don’t get too attached to any outcomes,” I keep telling myself. But then I want to be excited about my possible future! I guess that is where all our internal happiness work kicks in. I have been doing extra meditation, trying to focus on the positive, being super grateful for all I currently have in this present moment. But it’s still tough – as human beings, we can’t help but be affected by the external. However, research by Ed Diener and others suggests that overall our circumstances only account for about 10% of our happiness. Some of it comes from our genes, but Sonja Lyubomirsky, professor at University of California, Riverside, found that as much as 40% of our happiness is determined by ourselves. It’s down to our intentional thoughts and activity, suggesting regardless of our situation, happiness is something we can have control over. The conclusion I have come to is that it’s all about having that solid emotional base. Some days I feel disappointed, often sad, when bad things happen. But I ride them better, I bounce back quicker, I accept them more easily. Sometimes I feel old negative emotions, bad habits returning; miserable thoughts overwhelming me. But I recognise them and I make a conscious decision to address them with one of my Happynesshub tools (there’s been a good deal of dancing to happy songs around my house recently!). It’s not easy – to change your thoughts when you feel emotionally overwhelmed by them; when you feel your heart may burst with sadness. But, there are ways and I reach out to my 21-Days and use those tools – to remove fear, to maintain hope and to lead my life from intuition and love. So, you may ask, where am I at? Well, I am hoping the house is going through, I’ve fallen in love with it. I am planning the arrival of my new best friend end of year (that’s the dog BTW). And the rest… well watch this space!